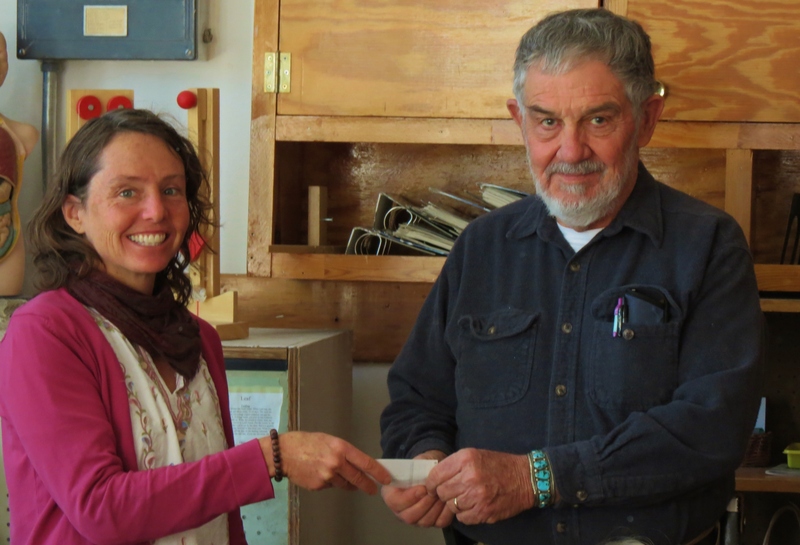 As part of the Grant County Art Guild’s mission of supporting local art and art education, 2015 Guild president Tom Vaughan presented two donations to Silver City school’s art programs. 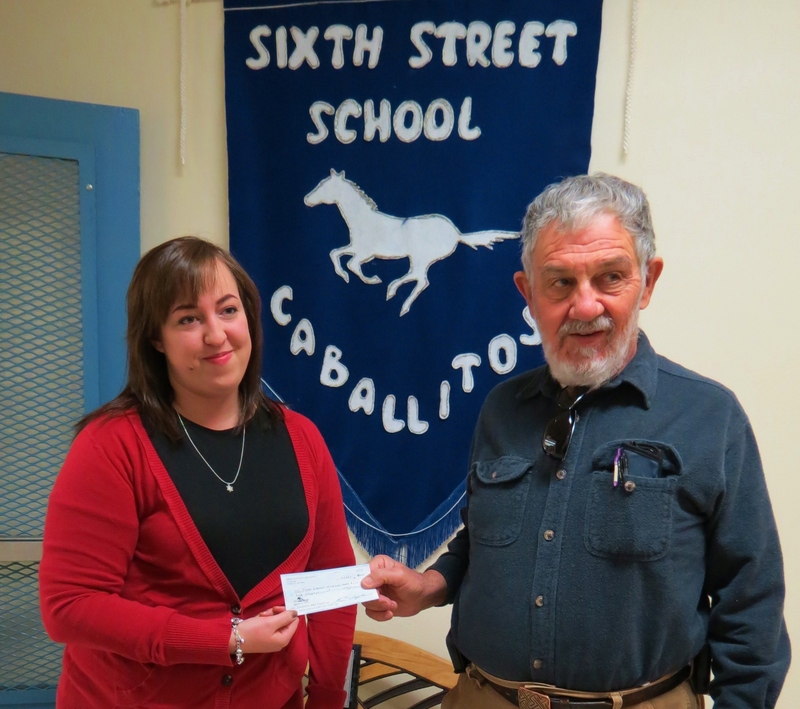 Art teacher Amy Duncan received the donation for Guadalupe Montessori School and art teacher Lydia Burns received the donation for the Sixth Street School. The funds are designated to go toward additional art supplies for those school’s art classes. 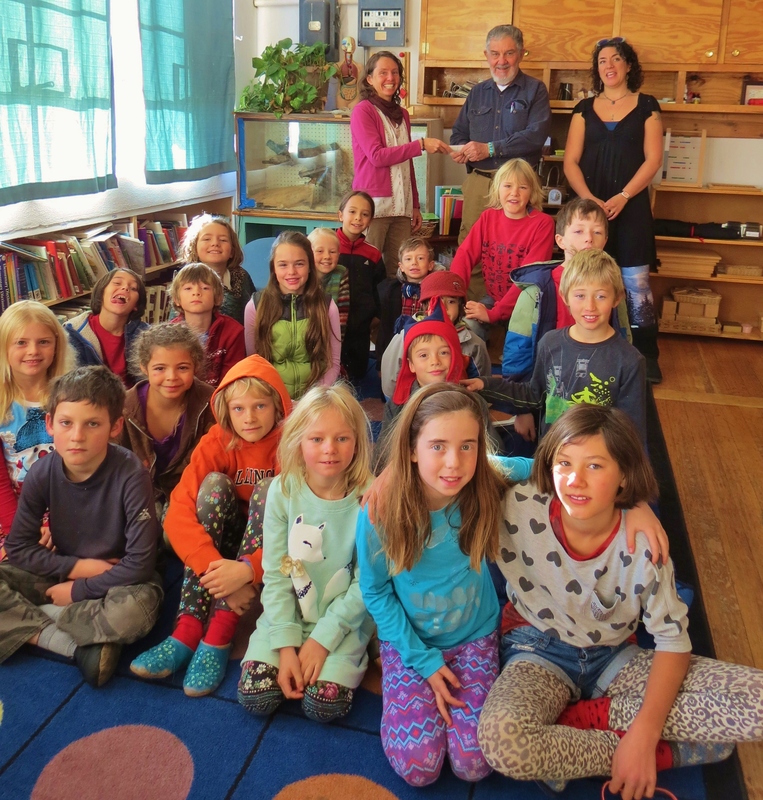 Vaughan was also there to thank the students of Montessori School for their participation in the Grant County Art Guild’s annual Art in the Barn Show. 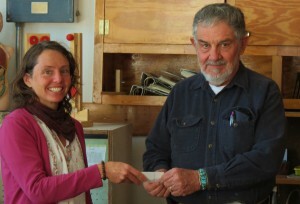 Grant County Art Guild is a non-profit organization of local artists and crafters. See http://www.gcag.org/ for more information.